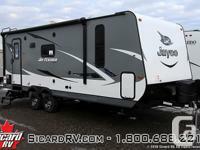 *NEW* 2017 Jayco Jay Feather 23RBM Travel Trailer. Sleeps 2-4 people with one slide-out. 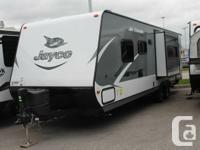 For purchase at Owasco RV!! 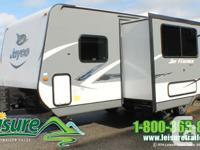 (Call for details: 905-579-XXXX) Includes lots of popular features such as: -Canadian Standards-Customer Value Package-Exterior shower-Power Awning-Spare Tire with Cover-32" LED TELEVISION-Aluminum Rims-Exterior Grill much more! *Plus HST and Licensing* Please note that product details displayed may not represent the exact unit. Options & decor colours of the RV may be different than shown.